Your existing shingle, tile, or metal roof reflects only 20% of the sun's heat, while your new COOL roof will reflect about 80% of the heat off of your home, saving you hundreds to thousands of dollars in reduced electricity costs over time. 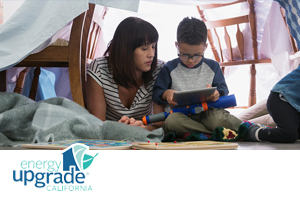 Many Southern Californians from Los Angeles, Sherman Oaks, Orange County, San Bernardino, San Diego, and beyond search within their homes to upgrade to energy efficient products without realizing the answer may be sitting right on top of their homes. ENERGY STAR certified COOL Roofing is crucial for keeping your home comfortable, keeping your utility bills low as possible, and for creating a safe and stable platform for installing solar or simply upgrading your aging roof. Did you know you could be wasting as much as 80% of your possible utility bills savings through heat-collecting, heavy shingles or outdated metal or clay tile? Heat from the sun also degrades roofing materials at a faster rate, so heat-resistant roof shingles will last longer than conventional roof materials. Our COOL roofing will drastically reduce your bills by keeping your cooled and heated air from escaping and simultaneously acting like sunscreen to the sun's hot solar rays. Our in-house COOL roofing installers are backed by an arsenal of options for your home, including solar-reflectant COOL shingle roofs, tile roofs, redecking, and more. We work with the top shingle manufacturers to ensure you're utilizing the industry's most energy-saving and cost-effective shingles on the market. We can install any type of energy efficient roofing for your home, from flat roof to pitch roof including tile, composite shingles, metal, and more. 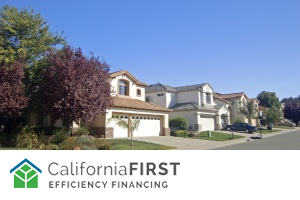 Because COOL roofs save both money and energy, in October 2005 they became part of the prescriptive requirements of California's energy code, the Title 24 Building Energy Efficiency Standards. Solar-roof combination packages are some of our most popular projects that customers pursue. We install both solar and roof in-house. While we can install solar on any roof, our consultants can direct you toward energy efficient COOL roofing that not only saves you on your utility bill by reducing the number of panels needed, but is also optimized for solar panel installation. In fact, the shading that the panels provide will keep your roof lasting longer. On top of that, we lay down a special layer of 50lb tar paper to help reflect the sun's hot rays off your shingles. These roofs come in a variety of colors to choose from. When you decide to go solar, we'll have an in-house roof assessment team ensure your roof is safe to install solar before we bore into your roof. What we don't want is to install a perfect solar system only for you to have to change the whole roof a few years later and be then forced to unnecessarily uninstall and then reinstall your panels at extra cost. Unlike other roofing companies, our prices are fixed and we do not charge extra for damaged lumber. If needed, our consultants will work with you ahead of time to find a financial plan that can make a combination package very attractive. Most COOL roof materials for low-sloped roofs are white or another light color. Because steep-sloped roofs are often visible from the ground, however, we've selected the industry's most innovative roofing material manufacturers to present you many options of popular roof colors other than white that will still reflect the sun's energy away from the building. 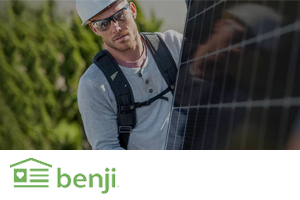 Whether you're going solar or are interested in a new roof, we want you to feel 100% comfortable. In addition to your project manager, we will send an in-house expert roof assessor at no cost to determine your exact needs. Backed by years of experience, you can have peace of mind knowing that your roof will be checked with the most trusted eyes in the industry to determine every detail required for a perfect installation. 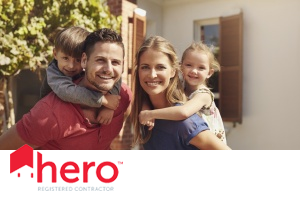 SolReliable is a premier contractor for CaliforniaFIRST and a preferred contractor for HERO, Matador, YGrene, Greensky, and more. We can also offer secured and unsecured loans to make your COOL roof a reality. If you install solar with your roof, the utility savings from your solar can be re-amortized into your financial plan, allowing you to be cash-positive while enjoying one of the most important upgrades you can make for your home. Does COOL roofing sound cool to you? Contact us today for your custom, no-cost roof consultation and assessment. Reflect the sun's heat with a COOL roof! Our experts are ready to help you upgrade. If you’re considering ways to invest in your home, you may have already thought of the obvious — like a kitchen remodel or a bathroom gut.